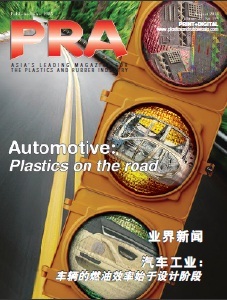 In the next three years to 2019, global plastics processing machinery demand is expected to rise to 4% annually, to nearly US$36 billion, according to research firm Freedonia. 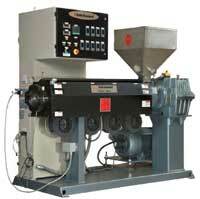 It points to extrusion machinery as a strong contender in terms of clinching top grossing sales. In the Asia Pacific region, which would account for half of the global equipment output in 2017, the market maintains an upward trajectory for its plastics processing machinery shipments. According to Freedonia, China will boost sales and account for 59% of the total regional output. It is against this background that Davis-Standard will exhibit at Chinaplas, relying on its Global Advantage™ focus on its wide ranging solutions for key markets including food packaging, medical, electronics, energy, agriculture as well as construction and automotive. One of its competitive edges is providing equipment that is costeffective, durable and offering a high return of investment, which are timely considerations to outsmart challenges in production costs and quality, says the company. Not being lulled by China’s economic growth in 2016, which analysts say will be its lowest in 25 years, Davis-Standard has in fact expanded its laboratory at its subsidiary in Suzhou, to help clients develop new medical tubing products and test resins. The 46,300-sq ft Suzhou facility represents a core of Davis-Standard’s footprint in Asia Pacific, since the region accounts for 30% of the company’s business. Davis-Standard will also promote the expansion of its film technology and aftermarket services with the recent acquisition of US extrusion machinery compatriot Gloucester Engineering Company (GEC). We gather more information on the company’s focus from an interview conducted with Jim Murphy, President, Davis-Standard. At Chinaplas, Davis-Standard will be promoting its new technology and regional capabilities. How has demand in Asia grown for the company in terms of equipment such as medical tubing technology and the dsX™ product line? Everything we’re promoting at Chinaplas represents a strong growth area for us in this market. 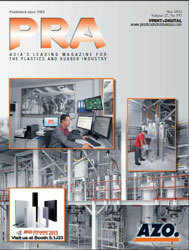 We’ve especially seen strong demand for flexible packaging and medical tubing equipment. 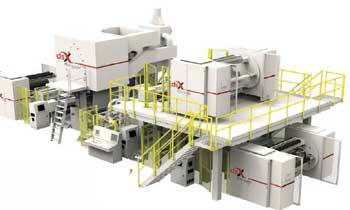 An example is the dsX flex-pack™ (extrusion coating) line. Asian converters are seeking the advantages of high-speed lamination, subsequent waste reduction and improved quality offered by this machine. The economical benefit of these 450 mpm machines is allowing many regional converters to separate themselves from the competition. The flex-pack™ is also built with an adaptable machine configuration to support a variety of end-use markets and that is advantageous. In fact, this machine is built for cost-sensitive flexible packaging applications, where fast and reliable production is essential. Furthermore, the flex-pack™ excels in price, performance and delivery. The economical benefits of these machines have surprised converters. To get 450 mpm, along with improved bonding strength and waste reduction, is a significant advantage. In medical tubing, we see the need for turnkey systems that offer materials versatility. Our systems are built to support extruder outputs up to 315 kg/ hour and line speeds up to 240 mpm for materials, including PLA, PLLA, PEEK, FPVC, polyurethane, nylon, PEBAX and FEP. To support this, we offer R&D trials at our laboratory in Suzhou, where we have two lines for product development and testing. The laboratory features direct-drive 19 mm and 24 mm single-screw extruders, each with a polymer melt pump, a sophisticated threelayer spiral flow tubing die, PLC line control with data acquisition, precision vacuum sizing tank for both rigid and flexible products, closed loop ID/OD control via an ultrasonic gauging system, a servo-controlled combination puller/ cutting system, and a transport conveyer with single-zone air eject. It also includes a single-layer tubing line designed specifically for the production of FPVC tubing for IV and fluid delivery applications. Products ranging in size from 2 mm OD to 10 mm OD can be produced with an accuracy of +/- 50 microns at line speeds up to 100 mpm. Davis-Standard’s facility in Pawcatuck, Connecticut, also has a fully equipped medical tubing laboratory. 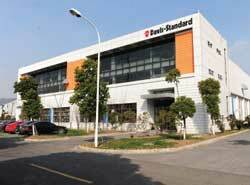 Since opening a subsidiary in Suzhou four years ago, Davis-Standard now has a manufacturing base in China. How can customers in Asia benefit from this? The biggest advantage we’re able to offer is regional support. Our response and delivery time has improved and customers appreciate that. Last year, we grew our regional sales team in Asia and our staff in Suzhou to support our expansion in the region. We understand that to be competitive in China, we have to keep quality and value at the forefront. Our feedscrew designs, control systems and modular technology along with our longstanding reputation for quality and service give us a strong position now and as the Chinese market evolves. 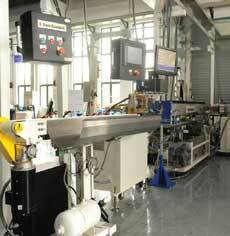 A strong market sector for Davis-Standard in China is medical tubing. How is the company catering to the demands of the market sector? Our laboratory in Suzhou is a huge part of supporting that market sector. Customer s are able to test new resins and processes prior to making a large capital investment. The versatility of our systems is also essential. Again, to reiterate, we’re able to accommodate customers with technology that addresses a variety of tubing. What will be the expected trends in the packaging sector in Asia? Packaging continues to grow in Asia based on strong demand for packaged products and continued growth of the economy. Flexible packaging is growing faster than the overall packaging market due to the many benefits it provides. Flexible packaging provides a lightweight package that is durable and often re-sealable – these are features that consumers desire. 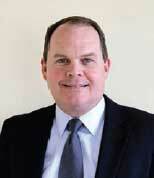 Are there new emerging trends in healthcare that Davis-Standard is considering breaking through? Healthcare continues to grow in Asia and the need for medical products and devices grows with this demand. Plastics are a high performance material for the medical industry, providing disposable products that reduce the possibility of infections. We are seeing increased development of multi-layer structures and smaller diameter tubing to provide better physical property performance across a range of new applications. 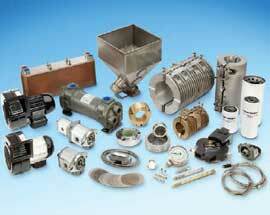 Davis-Standard works with US auxiliary firm Conair for medical tubing. How does this benefit customers in Asia? We have worked with Conair for more than 20 years. Not only do we partner on system components, we do a lot of collaborative R&D work in our respective laboratories. The longevity of our relationship and the complementary aspects of our equipment benefit customers in Asia and around the world. What was the strategy behind Davis- Standard’s acquisition of competitor extrusion machinery maker Gloucester Engineering Company (GEC)? What are the benefits offered by the addition of GEC? GEC has always been a market leader. Having their brand under our umbrella broadens and strengthens our product offering in blown film, cast film and foam sheet. Together, we offer industry technology that is going to be tough to beat. In fact, the addition of GEC is especially exciting for our film customers because we are able to offer the largest installed base of film technology and aftermarket services under one roof, including opportunities to improve performance. With a general lull in the world economy, how does Davis-Standard expect to navigate this situation to maintain its market positioning/growth targets? We have ridden out economic ups and downs before and this is no different. Our focus is to excel in price, performance, delivery and service and this will not change. If anything it will continue to make us better because you have to work harder to earn business. Briefly, how did Davis-Standard fare in terms of revenue/growth targets for 2015 and what is expected for 2016? Which countries/ markets sectors will the company be focusing on in 2016? We finished 2015 stronger than 2014, and anticipate 2016 to be even better. As far as geographic markets, we seek to be strong in every market where we have a presence. North America and Europe continue to be staples for us. China, the rest of Asia and South America continue to present growth opportunities that we will capitalise on. As far as applications, we can support all of them no matter where our customers are located. Film, extrusion coating, sheet and medical tubing are among our strongest areas worldwide.